With the recent release of the iPhone 3GS and all the craziness that was happening, many people completely missed the releases of the new methods of jailbreaking and/or unlocking the iPhone 2G or iPhone 3G! For those wondering about the iPhone 3GS, since the device just came out, there is no news yet, but things are in the works. 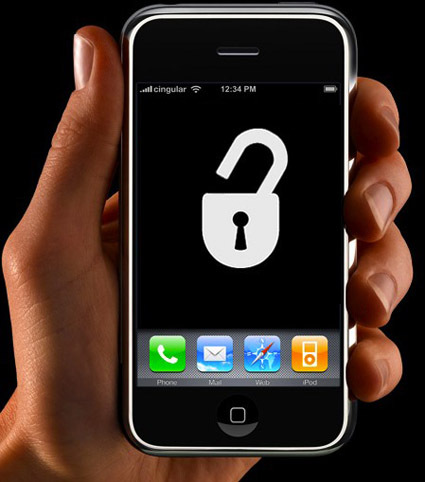 For those wondering about the iPhone 3G unlock, it is called Ultrasn0w and is coming soon. If you are currently running the yellowsn0w unlock on your iPhone 3G for cellular service, then do not attempt to use redsn0w or update to 3.0 as you will lose your iPhone 3G unlock. Note #1: The methods listed below can be followed on BOTH a PC or a MAC. Note #2: Some users experience download issues when using Internet Explorer or Safari. However, Firefox seems to work fine. Download redsn0w 0.8 (a more powerful QuickPwn) for Mac here or Windows here and extract the install file “redsn0w” to a folder. Download the 3.0 firmware for the iPhone 2G here. Open iTunes and plug your iPhone 2G in via the USB. Backup your iPhone 2G if iTunes allows you to. Ensure that your iPhone 2G is turned on and then put the iPhone into Recovery Mode. (If you already have the 3.0 software, go to step 8). Once you are successfully in Recovery Mode, click “Restore” in iTunes. This will update your iPhone 2G with the 3.0 software. After the restore is complete, close iTunes but leave the iPhone 2G connected to the USB. Open the redsn0w install file and click “Browse”. A window will open. Locate the downloaded 3.0 firmware from Step 2 and click Open. Once the firmware is verified, click Next. On the next screen, put a check mark beside Cydia and Unlock and then click Next. Now click Browse beside each Bootloader file and locate the ones you downloaded from step 3. Then click Next. Turn off your iPhone 2G and follow the on-screen instructions EXACTLY. Redsn0w will guide you on how to get your iPhone 2G into DFU Mode. DFU mode is hard to do because the timing has to be PERFECT, so make sure you follow the steps. If the iPhone 2G does not get into DFU Mode, just quit redsn0w and you will have to try again starting from step 9. Your iPhone 2G will now be unlocked and jailbroken. Reboot the iPhone 2G. Download the 3.0 firmware for the iPhone 3G here. Open iTunes and plug your iPhone 3G in via the USB. Backup your iPhone 3G if iTunes allows you to. When iTunes recognizes the iPhone 3G, click â€œCheck for Updatesâ€ in iTunes. This will update your iPhone 3G with the 3.0 software. (If you are already running 3.0, go to Step 6). After the update is complete, close iTunes but leave the iPhone connected to the USB. Open the redsn0w install file and click “Browse”. A window will open. Locate the downloaded 3.0 firmware from Step 2. Once the firmware is verified, click Next. On the next screen, put a check mark beside Cydia and Icy and then click Next. Turn off your iPhone 3G and follow the on-screen instructions EXACTLY. Redsn0w will guide you on how to get your iPhone 3G into DFU Mode. DFU mode is hard to do because the timing has to be PERFECT, so make sure you follow the steps. If the iPhone 3G does not get into DFU Mode, just quit redsn0w and you will have to try again starting from step 7. Your iPhone 3G will now be jailbroken. Reboot the iPhone 3G. Download the 3.0 firmware for the iPod Touch 1G here or iPod Touch 2G here. Open iTunes and plug your iPod Touch in via the USB. Backup your iPod Touch if iTunes allows you to. When iTunes recognizes the iPod Touch, hold Shift (PC) or Option (Mac) on your keyboard and click “Restore” in iTunes. A window will open. Choose your iPod Touch firmware that you downloaded from step 2 and click Open. This will update your iPod Touch with the 3.0 software. (If you are already running 3.0, go to Step 7). After the update is complete, close iTunes but leave the iPod Touch connected to the USB. Open the redsn0w install file and click “Browse”. A window will open. Locate the downloaded 3.0 firmware for your iPod Touch from Step 2. Turn off your iPod Touch and follow the on-screen instructions EXACTLY. Redsn0w will guide you on how to get your iPod Touch into DFU Mode. DFU mode is hard to do because the timing has to be PERFECT, so make sure you follow the steps. If the iPod Touch does not get into DFU Mode, just quit redsn0w and you will have to try again starting from step 8. Your iPod Touch will now be jailbroken. Reboot the iPod Touch. If you follow the steps above carefully, you will have success.